Ruby and diamond remodelled ring: One from the Sherry Revive range. We re-designed the old engagement ring, creating a new ring from the owner’s original diamonds. 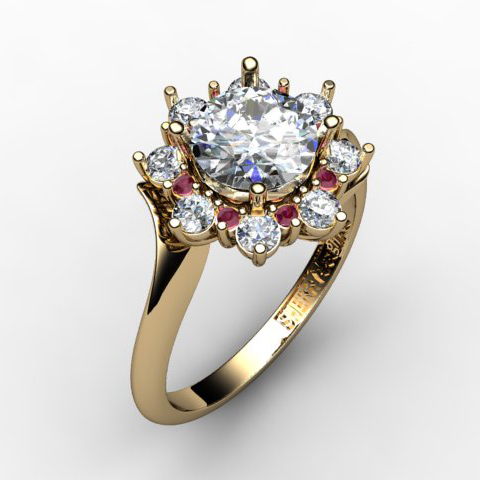 Our client wanted a ring with a big impact and additional colour, so we added small, bright pink rubies to lift the cluster design. Contact us if you want your old jewellery turning into new. We can re-style your old jewellery, rejuvenating it, to create something you’ll love to wear!